What type of camera are you looking for? Are you looking for a home or office printer? Which camera do you have? Need Help Finding the Perfect Camera? Our Camera Finder can help you find the right fit for your needs and lifestyle. From telephoto to fisheye — and every lens type in between — switch up your perspective and discover which lens is best suited for your lifestyle and needs. Need Help Finding the Right Printer? From students to professionals, small business owners to crafters, our Printer Finder can help you find the perfect printer to meet all of your needs. Fill your frame with your subject and don't be afraid to position them slightly off-center. Stand confidently in front of your peers and deliver high-quality, impactful presentations with Canon’s newest line of wireless presenters. Make a statement and impress your clients with the office gear designed specifically for your business. Bring a splash of color into your life with this sleek and stylish calculator, ideal for your everyday needs. Return used inkjet cartridges at no cost and help reduce environmental waste. Try our accessory finder to view all compatible accessories for your product. How do I register my Canon CarePAK Extended Service Plan? Why didn't my credit/debit/gift card payment process? Why was my order delayed for shipping? What are the Canon Online Store telephone support hours? Can I use a gift card to pay for my order? The prices advertised on this site are for Canon Online Store orders only. All prices are listed in U.S. dollars. Prices and the availability of items are subject to change without notice. Any promotions offered on the Canon Online Store are only available for purchases made at the Canon Online Store unless otherwise specified. Errors will be corrected when discovered. Despite our best efforts, some of the products listed on the Canon Online Store may be incorrectly priced. We are under no obligation to provide the product to you at the incorrect (lower) price, even after we have sent an Order Receipt or a Shipping Confirmation email to the email address you used to create a Canon Account or to place your order. Prior to submitting your payment information, you will have the opportunity to review product prices, sales tax, and shipping and handling charges. Applicable sales and use tax is charged on all orders, except for orders being shipped to Delaware, Montana, New Hampshire, Oregon, and certain local jurisdictions in Alaska that have adopted a local sales and use tax as permitted under Alaska law. If you feel that you may be entitled to a sales and use tax exemption because you are exempt from federal income tax under Section 501(c)(3) of the U. S. Internal Revenue Code, or are otherwise exempt from state and local sales and use taxes (for example, if you are a member of an Indian tribe recognized by the United States government and the merchandise is to be delivered to you on an Indian reservation in the United States) , please call our Customer Support team toll-free at 1-800-385-2155 so that you can provide the applicable sales and use tax exemption certificate. 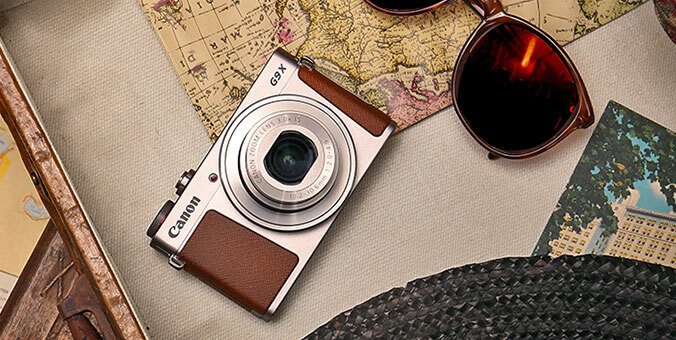 The Canon Online Store accepts American Express, Discover, MasterCard, and Visa. You must use a U.S. credit/debit card with U.S. billing and shipping addresses (for details, see Shipping and Handling). Your card will not be charged until your order ships. If your card expires before the order is shipped, we will notify you and ask you to enter the credit/debit card number again with the new expiration date. You may also pay by a check drawn on a bank account located in the United States by calling our Customer Support team at 1-800-385-2155. You may pay by wire transfer via a bank account located in the United States by calling our Customer Support team at 1-800-385-2155. The Canon Online Store now accepts gift cards from Visa, MasterCard, and Discover. Please select the checkbox for gift cards and enter your card information on the Payment Info and Order Review page of the checkout process. If you are using a gift card in addition to an accepted credit or debit card for your payment, please enter the gift card information first, and then enter the information for the accepted credit/debit card. Please register your gift card with the card issuer (providing your name and billing address) and confirm the available balance prior to placing your order. The Canon Online Store allows you to split your payment across multiple accepted cards. You can combine gift/pre-paid cards (issued by Visa, MasterCard, and Discover) and credit/debit cards. If you are using a gift card and an accepted credit or debit card for payment, please enter the gift card information first, then enter the credit/debit card information. Please register your gift card with the card issuer (providing your name and billing address) and confirm the available balance prior to placing your order. A “subscription” is a recurring transaction to re-order certain products from the Canon Online Store. You authorize the Canon Online Store to process such recurring transactions on your credit card on the delivery schedule you select for the subscription order quantity on the day your subscription order is shipped to you. After your first order, the amount of each subscription order may vary and will be the cost of the subscription item on the day we send you an email notice confirming your next subscription order, plus any applicable sales tax. You can also view the amount and shipping date of each subscription order by signing in using the Sign In/Register link at the top of the page and selecting Order History to review your current and previous order details. If we are unable to complete an order with the credit card you have provided, the order will be cancelled or changed. You can cancel or change your credit card by logging in to My Account and selecting the “Subscription” tab. Your subscription with the Canon Online Store is personal to you, and you may not assign or transfer your subscription, or any of its benefits, to any third party with Canon USA’s authorization. If any issues arise with your subscription account, the shipping address or payment method connected with your subscription that the Canon Online Store is unable to resolve, we will notify you through the email address associated with your subscription and your subscription order will be cancelled. No additional subscription orders will be shipped until the issue has been resolved. Even if a particular subscription order is canceled, your enrollment in the Canon Online Store Subscriptions will remain in effect, and the Canon Online Store will attempt to process the next subscription order based on the delivery frequency you have chosen. Any returns related to a Canon Online Subscription are subject to the Canon Online Store Return Policy. Only valid credit cards can be used to enroll in Canon Online Store Subscriptions and to make subscription service purchases. The Canon Online Store accepts American Express, Discover, MasterCard, and Visa. You must use a U.S. credit/debit card with U.S. billing and shipping addresses. Your card will not be charged until your order ships. If your card expires before the order is shipped, we will notify you and ask you to enter the credit/debit card number again with the new expiration date. The cost of each subscription order may vary. After your first order, the total cost for each subscription order will be the cost of the item on the day we send you an email notice confirming your subscription order plus applicable sales tax, if any. Applicable discounts or promotions in effect at the time we confirm the price of your subscription order will be applied to your order. After your first order, we will send you an email notice (3-5 days) prior to processing each subscription order to confirm the cost of the subscription order. Your initial order will be processed when you set up the subscription. You can also view the amount and shipping date of each subscription order by signing in using the Sign In/Register link and selecting Order History and viewing the order details. The amount of each subscription order will be billed to the credit card you authorize for the Canon Online Store Subscription purchases, and your card will be billed on the day your subscription order is shipped. If you want to change or cancel your subscription, you can do so at any time by logging into your account and selecting the “subscription tab.” Your subscription will remain in effect until it is canceled. To prevent additional shipments of a subscription order or to change a subscription, you must cancel or change your subscription before the next subscription order is shipped. If your subscription is canceled and then you re-subscribe to the Canon Online Store Subscription service, any discount applied to the original subscription may be different than any discounts or promotions available at the time you re-subscribe to the subscription service. The Canon Online Store reserves the right, without notice and in its sole discretion, to terminate your subscription (i) if you violate any of these Terms of Service, (ii) for any reason, or (iii) for no reason. Upon any such termination, your subscription benefits will immediately cease and you will only be charged for orders that have been shipped to you. The Canon Online Store reserves the right to change any benefits offered through its subscription service, including discounts and other promotional offers, at any time in the Canon Online Store’s sole discretion. All changes will apply to future orders, regardless of whether you are currently a subscriber. Please note that the Canon Online Store is intended for end-user consumers purchasing products for their own personal or household use only. Accordingly, the Canon Online Store reserves the right to refuse or cancel orders at any time if it believes that the products are being purchased for resale. The Canon Online Store assumes no responsibility or liability for anything resulting from such refusals or cancellations, or for e-mail notification failure. If you are interested in purchasing Canon products for resale, please contact our Customer Support team toll-free at 1-800-385-2155. If for any reason we are unable to process your payment, we reserve the right to cancel your order. The Canon Online Store reserves the right to decline or cancel orders at any time. Order Receipt, Backorder Notification and Shipment Confirmation e-mails are sent to the e-mail address you used to create an account or to place your order. We assume no responsibility for issues resulting from such declines, cancellations, or e-mail notification failure. All orders are electronically transferred to our warehouse at the time they are placed, and they cannot be cancelled by you (except backordered items that have not yet arrived in our warehouse. If you decide you do not want the order after it is delivered, please see our Return Policy. If an order is processed in error, contact our Customer Support team immediately at 1-800-385-2155 for instructions. The shipping and handling charge is intended to compensate Canon USA for the cost of handling your order, packaging the product(s) you have purchased, and delivering it/them to you or to the recipient you designate. Prior to submitting your payment information, you will have the opportunity to review the applicable shipping and handling charge. The Canon Online Store ships merchandise to street addresses within the 50 United States and the District of Columbia only. The Canon Online Store only accepts billing and shipping addresses in the 50 United States and the District of Columbia. We do not ship orders to APO/FPO or P.O. Boxes, and we do not ship to Guam, Puerto Rico, or the U.S. Virgin Islands. Please avoid using "vanity addresses," as this could result in a delay in delivery. We do not allow address changes after an order has been confirmed. The Canon Online Store is not responsible for typographical or photographical errors. Your purchase of any product(s) and/or service(s) from the Canon Online Store is subject to the Terms and Conditions of Use. We require that all purchases be made either (i) by individuals who are not minors and who can legally enter into binding contracts (typically persons 18 years of age or older, depending on where you live), or (ii) by minors with the permission of a parent or guardian to purchase items on the Canon Online Store. © 2019 Canon U.S.A. Inc. All Rights Reserved. Reproduction in whole or part without permission is prohibited.